Amazon product reviews can give you insight like nothing else. After all, where else can you get unfiltered information about what buyers think about your products? Listening to your customers helps you continue to stock quality products and deliver an optimal experience. It also highlights any problems or issues with your products that need to be addressed. For private-label sellers in particular, this perspective can be invaluable. What's the best way to get more product reviews? Ask for them! Here are a few suggestions for creating a successful product review request. First and foremost, make sure to take time to read through the Amazon Buyer-Seller Messaging Service guidelines. It’s important to understand Amazon’s rules before creating your product review request. When it comes to writing your request, keep it friendly and concise. Consider including a link to an instructional video or other information about how to use your product. Before sending your product review request message, take some time to think about your product’s use case. When should customers expect to get results from your product? Is it something that they’ll use frequently or occasionally? By getting to know your market, you can be sure to make the ask at the right moment. Focus the product review request message on your customer, not yourself. Take the time to craft a well-written message that your buyer will connect with. (If writing isn’t your strong suit, consider hiring someone else to tackle the task for you, or click here to download our product review template.) Did you start your company to address a specific need? Are you running a small family business to put your kids through college? Share details like these with your customers to help them understand your “why” and create a sense of real connection. Product reviews provide important information for private-label sellers, since they tend to be even more connected to the products they sell. Private-label sellers should be especially motivated to maintain a close connection to customers and their opinions. Product reviews are a great way to find out what buyers love about products and what can be improved in the future. As you scale your business, you may need to implement a more automated approach to reputation management. FeedbackFive is a powerful reputation management tool. In addition to automating seller feedback requests, you can use FeedbackFive to send product review requests. FeedbackFive offers a default template for product review requests, as well as the ability to include product images, specific links and more to customize your messages. You can also set rules regarding when to send your requests. Of course, if you're still wanting to manually send review solicitations, we've created this template to help you get started! 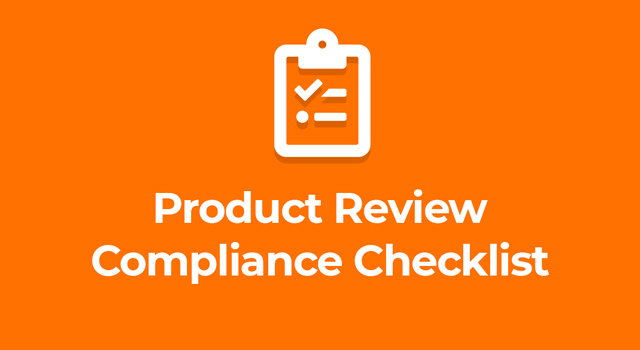 Your downloadable product review request template is available here. If you’re ready to take it to the next level, maximize your messaging with FeedbackFive.